New WSUAA president Lisa Steele Haberly ’99 has a sunny outlook, and it’s no wonder. She makes her home in Tucson, Arizona, where the sun shines nearly year-round. It’s a long way—both geographically and environmentally—from the cool, damp climate of her native Federal Way or the icy winters of Pullman, her college home. But the distance hasn’t dimmed her enthusiasm for her alma mater. “I’m more excited and passionate about WSU than I was when I was in school,” she says. As an undergraduate communication student, she wasn’t involved with the Alumni Association. It wasn’t until she relocated to Arizona in 1999 that the homesick young graduate recognized the power of strong alumni bonds. At local WSU alumni events, she discovered a home away from home in the company of her fellow desert-dwelling Cougars. Soon she was lending a hand. 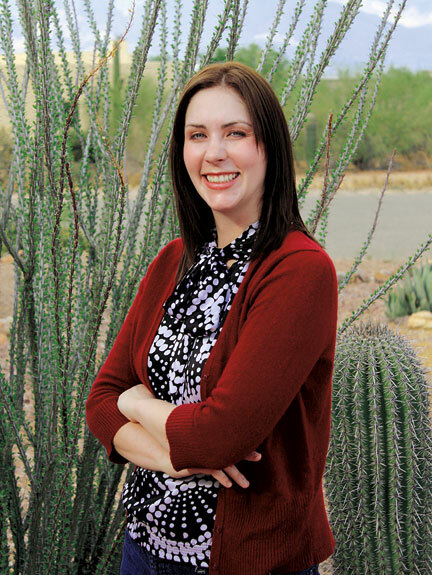 By 2006 she’d taken a leadership role in the Arizona and Southern Nevada Chapter. During her four-year stint as chapter president she worked tirelessly to engage more Cougars, increasing the number of events five-fold, recruiting six additional chapter representatives to help grow membership, and founding the popular Cougars at Spring Training Event in Peoria, Arizona. To join and learn more about WSUAA, visit alumni.wsu.edu.